Two 6mm black safety eyes - you can also use beads or even stitch the eyes on with yarn or embroidery thread. Round 1: Place 6 sc into a magic ring (or ch. 2, 6 sc in the second chain from the hook). Join in the top of the first sc. Now you will begin working on the bunny's head. Now you will work around the head and the body. Working into the side of the head, sc 3 evenly to the base of the head. Slip stitch into the bottom of the first row of the head. Sc into the next 14 stitches that go around the body. Slip stitch into the bottom of the first row of the head on the other side. Sc 3 evenly and join at the base of the ear. Fasten off. 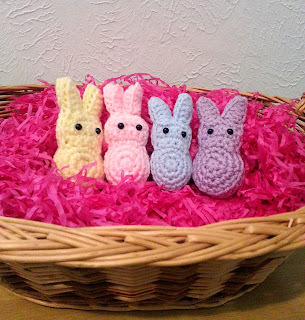 Leave a long tail after fastening off your yarn on one of the bunnies. You will use this long tail to sew the two pieces together. Decide which bunny you want to be the front and attach 2 safety eyes to the bunny's head. If you don't have safety eyes, you could also use beads or even stitch they eyes on. 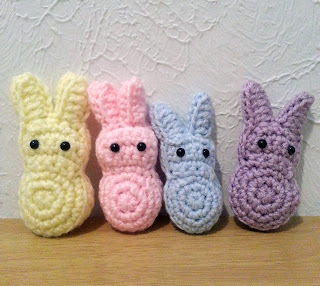 Place the wrong sides of the bunnies together and sew the two pieces together through the inside loops of each stitch around. 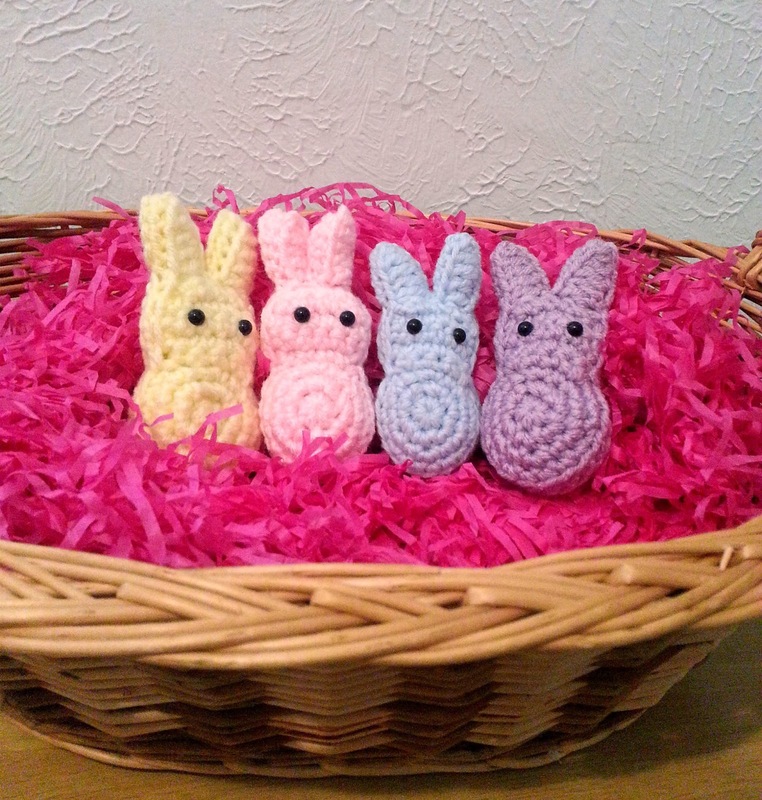 As you're sewing the pieces together, you want to lightly stuff your marshmallow bunny. You do not have to stuff the ears, but if you'd like to I highly recommend sewing the ears together first. It makes stuffing them so much easier! Don't forget to add this pattern to your Ravelry favorites so you can always find it! This looks like a very cute pattern. Something other than candy and a great little tuck-in gift.